The Los Angeles Lakers were recently eliminated from the playoff race in the Western Conference and the focus of the front office will likely now begin to shift to the offseason as they weigh what changes to this roster and coaching staff need to be made. According to a report from ESPN's Adrian Wojnarowski, Hall of Fame point guard and former head coach of the Brooklyn Nets and Milwaukee Bucks, Jason Kidd, will be among a group of "serious candidates" for the Lakers head coaching job if Luke Walton is fired. In addition, Marc J. Spears of The Undefeated is also reporting that Kidd is expected to be a candidate of the University of California men's basketball job. However, Kidd is eyeing a return to a head coaching position in the NBA and could wait before making a decision as to where his next coaching gig will be. Kidd last served as the Milwaukee Bucks head coach from 2014 to 2018 and compiled a 139-152 record during those four seasons. The Hall of Fame point guard was fired during the 2017-18 season and had just a 23-22 before being relieved of his duties. It remains up in the air what the Lakers will end up doing this coming offseason. 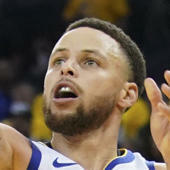 The team battled through a season in which they were hampered by injuries, including LeBron James missing 17 consecutive games with a groin strain. If Walton is relieved of his duties, Kidd certainly could be one of the top options on the market for Los Angeles.